Hey low-enders! Welcome back to "Aaron's Bass Hole!" This month we're going to work that thud-staff low, real low, and get into some nasty octave business with the Bit Commander, Tentacle, and Organizer. So let's start digging! Rumor has it that the Bit Commander doesn't track well on bass. Well, you can just forget about that, because with a little finesse, there's plenty of rump-shaking monophonic sub-octave to be had. It's worth mentioning, however, that due to the Bit Commander's all-analog design, things can get glitchy below the 7th position E note on the A string, but that still leaves us with plenty of neck to explore. For optimal tracking, I recommend placing the Bit Commander early in your effects chain and turning down the tone knob on your instrument to hit the Bit Co's input with the purest tone possible. 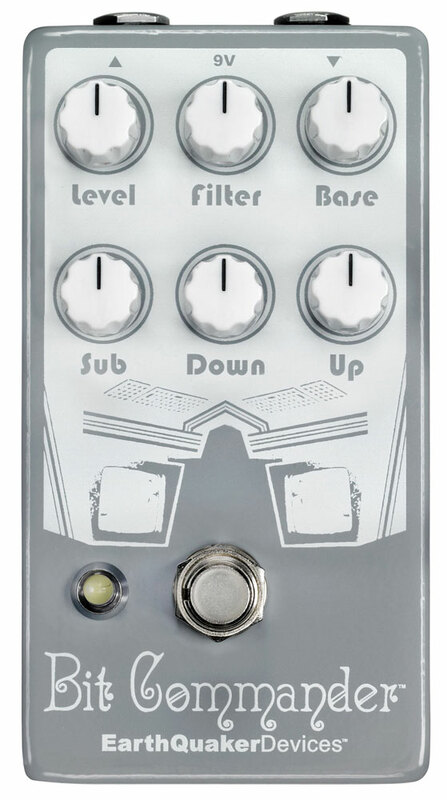 In Example 1, I use the Bit Commander's "Sub" (two octaves down) and "Down 1" (one octave down) controls with the "Filter" knob most of the way counterclockwise to lay down a dark and thick square wave bassline upon which I overdub a melody using the "Up 1" voice with the filter wide open clockwise. (The "drum machine" is just me smacking the strings on the bass - no effects.) In both the bass and melodic parts, I'm playing the D and G strings in the 14th position, where the Bit Commander tracks like a champ, using the pedal like the octave switch and filter sections of an analog synthesizer to sculpt complimentary sounds for the bassline and melody. Example 2 uses the two-handed tapping and fingerstyle chorus sections from Ultrasphinx's "Ruling Planets" to show how when mixed with a clean signal, the Bit Commander adds some blown-out subharmonic girth and handles quick runs and an open A note, no problem. This little knobless wonder is popular with guitarists for its Hendrix-like upper octaves, but we bassists can bump the Tentacle, too! You'll find similar ghost-octave effects higher up on the neck, but I actually like it down low to add some vintage, 70s-inspired grit and hefty midrange growl to fingerstyle playing in the lower octaves, as you'll hear in Example 3. 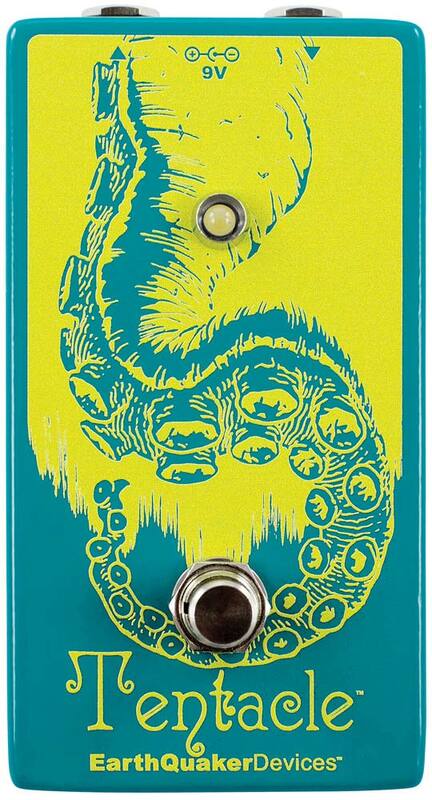 In Example 4, I pair the Tentacle with the Terminal for a squelchy, disgusting fuzz tone with lots of low-mid thump, because that's just the kind of thing I like. The first measure is just the Terminal solo with a little bit of DI mixed in, then I activate the Tentacle in the second measure to take it over the top. The Organizer is certainly the prettiest sounding octaver of the bunch, and is one of two (the other being the Pitch Bay, which we'll cover in another article) EQD octave pedals with the ability to track chords. It also tracks well up and down the neck without glitching out. In addition to the stock organ tones, the Organizer adds a ethereal, symphonic warble to the chorale-inspired chord sequence in Example 5. It also reacts well to a well-placed fuzz in front for a full-spectrum psychedelic wash! Bassists, how do you shake the subs with your octave pedals? Leave a comment and let us know! Ready to take the Bit Commander into action? Click Here! Want to get pulled under by the Tentacle? Click Here! Need to take an Organizer to church? Click Here!